Michael Poole: In this article I examine the meanings of the terms ‘creationism’ and ‘intelligent design’ and how they differ from traditional beliefs in creation and design. The article is offered for science teachers who may be unfamiliar with the ideas involved, but would like, briefly, to be able to tease out what is at issue for science education. The aim of this report is not to question or to fight a belief – the right to freedom of belief does not permit that. The aim is to warn against certain tendencies to pass off a belief as science. It is necessary to separate belief from science. It is not a matter of antagonism. Science and belief must be able to coexist. Both beliefs involve the idea of creation and it is important to understand how this is different from ‘creationism’. In the second one, the arguments of the relatively recent intelligent design movement need to be distinguished from traditional beliefs in design. In order to understand the creationism/ID issues, these distinctions are essential. Confusion arises when the same, or similar, terms are used to refer to substantially different things. The theological idea of creation is that of an act of God in bringing-into-being and sustaining-in-being everything there is. The act of ‘bringing-into-being’ is independent of specific processes or timescales. As Augustine put it in the fourth century CE, creation is with time, not in time – that is, time is part of the created order. This idea of time and space coming into being with the universe is mirrored by modern physics. The idea of creation can run alongside scientific theories about the origins of our world, but should not to be confused with them. ‘Creationism’ adds specific timescales and processes to the belief in creation. Creationists may regard these as following from particular readings of religious texts. There are, however, several varieties of creationism: (a) old-Earth creationism; (b) progressive creationism; and (c) young-Earth creationism. All assume non-natural acts of God as well as natural ones, (a) in the remote past, or (b) from time to time as the world ‘unfolds’, or (c) in the geologically recent (c. 10 000 years) past. The problem about the term creationism is that it leaves no word for use by religious believers who wish both to identify themselves with belief in creation and to distance themselves from belief in a geologically young Earth. The article explains that the current consensus among academic scientists of various faiths and of none, whose expertise lies in the fields concerned, is of a universe some 13.7 billion years old and an Earth of about 4.6 billion years, rather than 6–10,000 years old. It is important, in the interests of good science education, that the rejection of the young Earth component of creationism should not be additionally presented as dismissing the traditional belief in creation itself. This section of the article concludes with illustrations of how the church and figures of religious faith have understood and accommodated the scientific evidence for the age of the earth. Belief in a purposeful world is held by many religions… Traditional beliefs in creation and in design, shared by Christians, Jews and Muslims, have appealed to the fact that there is something in existence rather than nothing. Other arguments have included the kind of world there is; the existence of moral order; religious experience; and the intelligibility of nature. About this last factor Einstein commented: ‘The most incomprehensible thing about the universe is that it is comprehensible’. A modern ‘candidate for an argument for design’, which can be viewed as suggesting the universe is ‘fine-tuned’ for carbon-based life, is the anthropic cosmological principle. In more homely terms it is dubbed the Goldilocks effect because the universe, like Baby Bear’s porridge, chair and bed, seems ‘just right’. It appears that if the constants of nature, such as the gravitational constant, were minutely different, we would not be here. These are not ‘proofs’ in any formal sense, but may be regarded as pointers. It has been argued that belief in God is in the nature of a cumulative case, like a detective investigation. Numerous small pieces of evidence deemed valid, none of which are sufficient in themselves to compel belief, may nevertheless be judged to add up to a convincing whole. Discussions about whether the universe is designed, or not, have their origins deep in the past. The intelligent design movement only started in the early 1990s. It claims that in nature there are biological systems that are irreducibly complex, that is ones that will not work if any components are missing, so that they could not have evolved from less complete systems. Such systems are claimed to have no natural explanation, something which is said to indicate intelligent design in creation. A much-quoted example of irreducible complexity is the bacterial flagellum, a minute propeller that moves certain bacteria. William Dembski, a mathematician, has sought a theoretical basis for naturally occurring objects exhibiting what he terms specified complexity, that is too complex to have arisen by natural processes alone. God is not openly identified as the intelligence, but seems to be implied. Long ago, some theologians mistakenly viewed their beliefs about God’s activity in the world as threatened by growing scientific explanations of natural phenomena. They adopted the unnecessary – and self-defeating – strategy of pointing to gaps in current scientific explanations, saying ‘That’s God’. It is difficult to see ID as other than a contemporary version of this muddle – plugging in an explanation of an agent (God) where there are currently gaps awaiting scientific explanations of mechanisms. 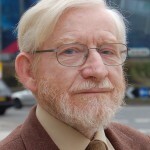 …taking over two common words – in this instance ‘intelligent’ and ‘design’ – linking them, and assigning to ‘intelligent design’ an idiosyncratic meaning… has left those who believe in traditional arguments for design without a unique and unambiguous term for the belief that an intelligence (God) has designed the world. It is important, in the interests of good science education, that the rejection of the ‘ID argument for design’ as a bad argument should not be additionally presented as dismissing the traditional belief in design itself. The problems under review here have been aggravated by some popular attempts to portray science as justifying atheism – something that gives science an undeservedly bad name. Religion is not ‘a scientific theory’, and it is odd to turn to science, the study of the natural world, in the hope of answering religious questions about whether there is anything other than the natural world (i.e. God) to which the natural world owes its existence. The scientific enterprise, with its subject matter of mass/energy, space and time does not concern itself with ‘first causes’, such as God. They lie outside its remit. This enables those of all faiths, and of none, to cooperate in a common and worthwhile endeavour. 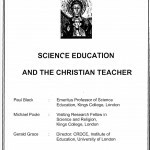 Michael Poole was formerly a lecturer in science education and is currently Visiting Research Fellow in Science and Religion in the Department of Education and Professional Studies, King’s College London.